If you own a WordPress site, forms are indispensable for creating a satisfying user experience and increasing your conversion rates. You need forms for clients to get in touch with you easily, answer simple survey question, leave feedback and testimonials, and so on. But you don’t need to have coding experience to create forms. You can use form builder plugins! 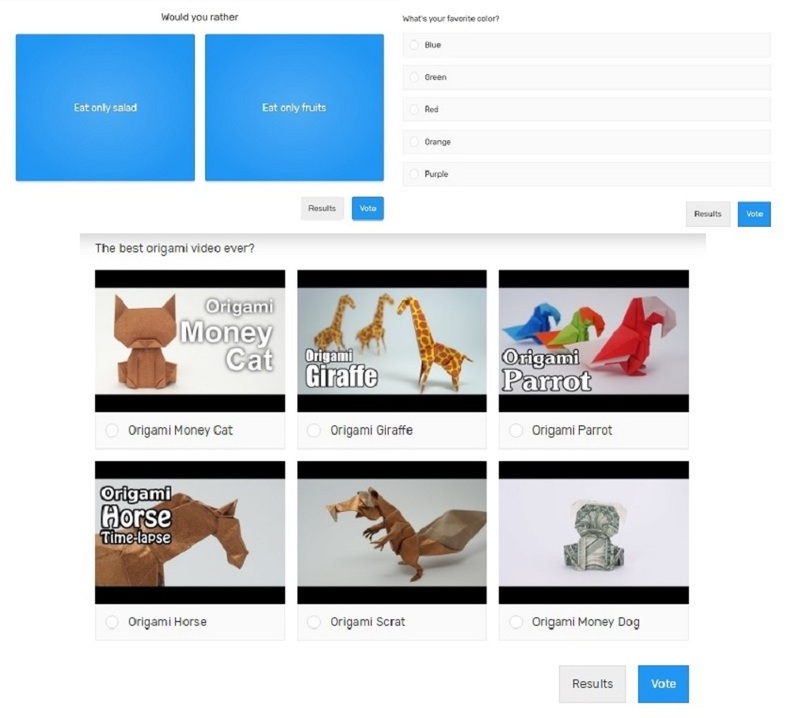 There are hundreds of forms plugins available in the market today. They help you create a wide range of forms to suit your needs. 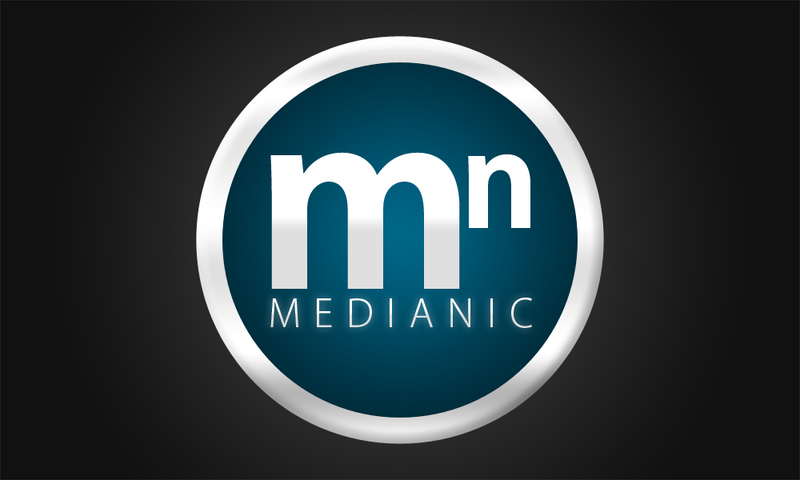 In this article, we’ll guide you to the best plugins on the market today. Let’s look at some of the best WordPress forms plugins for 2019! A WordPress form builder plugin allows you to create forms for your website quickly and easily without any specialized coding knowledge. Some form builders come with tools to build different kinds of forms that serve different kinds of purposes. These are the multi-purpose or all-in-one plugins. Other form plugins build forms that serve a very specific purpose: for example building a cost estimation and payment form. What to Look for in a Form Builder Plugin? Responsiveness: it’s 2019 and the ability to create websites that easily and efficiently scale to any devices—desktops, tablets, smartphones—should be a no-brainer. Short codes: so you can add forms anywhere on your website. Quform is an advanced WordPress plugin that allows you to quickly and easily build multiple forms. This drag-and-drop form builder is feature-rich, easy to use, and has a wide variety of templates that enable you to build all kinds of forms ranging from complex quotes, booking forms, or simple contact forms without ever writing any code. A few clicks and you have fully functional forms—it’s that simple. A form doesn’t need to be boring. It can be aesthetically beautiful and technically excellent. 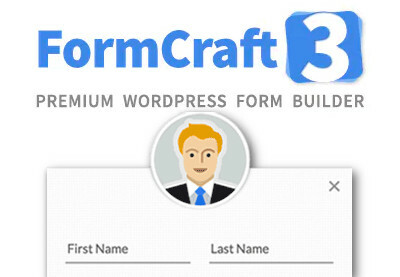 With the FormCraft plugin you get forms that are both. The forms are well-designed and appealing. You don’t get that stock template kind of feeling. With it’s drag-and-drop style editor, FormCraft is a breeze to use. You simply drag the item you need from the menu and drop it in place on the form you have chosen. Boom! Form built. FormCraft has been designed with responsiveness at its core so your webforms will look sharp and beautiful on every device. If you’re looking for the most comprehensive form management system, you will find it in the eForm form builder plugin. With the quick and easy, drag-and-drop form builder, you can build the many forms your business needs in order function efficiently: quizzes, surveys, data collection, cost estimation with payment, and user feedback of all kinds. You can customize product names, numbers and invoice IDs. The form builder also allows for custom coupon codes for discounts. eForm is fully integrated with the best e-mail marketing tools: Campaign Monitor, Get Response, Aweber and MailChimp. E-mail addresses are saved in your eForm database, so it’s easy to send targeted marketing to particular groups of users. For fast, secure, and easy payment, eForm form builder is integrated with both PayPal and Stripe, and WooCommerce. And you can enable more payment systems. 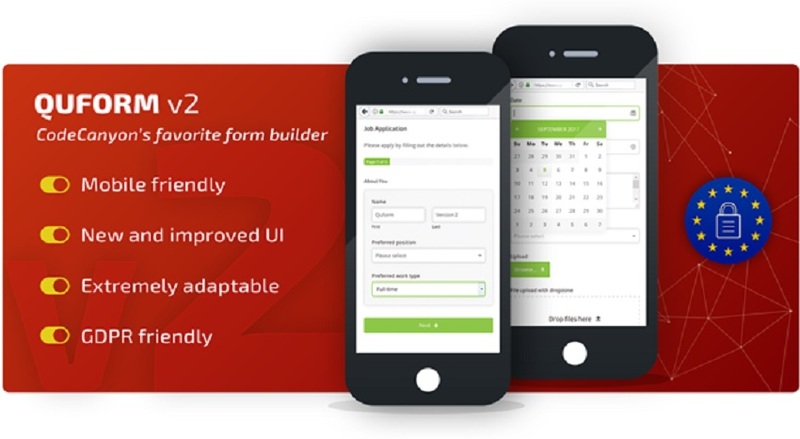 ARForms is a form builder plugin with a clean, easy to use interface, a solid design, and great functionality. It’s comes with a fully-featured multi-column facility, including the option to resize any column by simply dragging the border between fields. Easy, fast, flexible. Also, you don’t need to pay extra for a popup form plugin. It’s already built in! 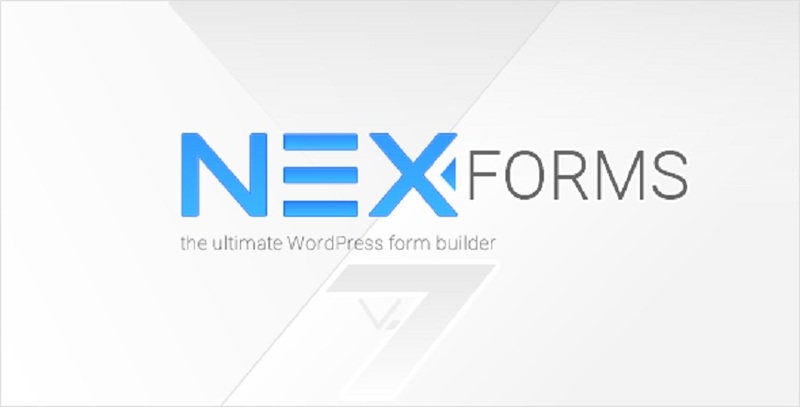 NEX-Forms is a highly flexible and customizable form builder plugin that gives you freedom to style your layouts and add your own background images. This drag-and-drop form creator has a layout grid system of 5 preset columns—including unlimited grid nesting—that can be dragged into any position on the form to create your own layouts. It also has math logic to perform cost calculations based on user selections and advanced conditional logic to show and hide form elements based on your users input. 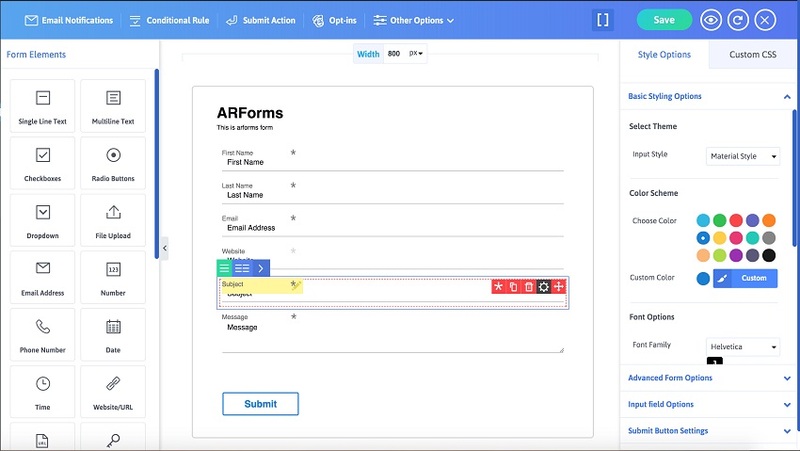 On the back-end, the NEX-Forms admin panel will give you a real desktop application feel with no page refreshing. Everything is done with a single versatile admin tool. 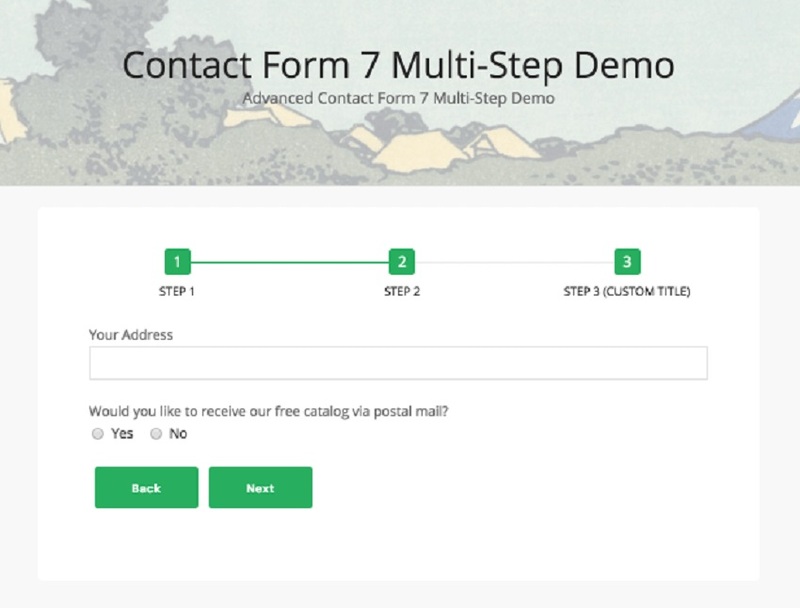 Interactive Forms: interact in real-time with your users. Plugins in this categories specialize in building only one kind of form. If you need to build a specific kind of form that is covered by one of these plugins, you might get better functionality than you would with a multipurpose form builder. You can do all that using WP Cost Estimation & Payment Forms Builder—a specialized plugin that is used to create cost estimation & payment forms. It also has a booking system to manage calendars, events and reminders directly from the back-end. All this and it works with WooCommerce and Easy Digital Downloads too! Optimized for touchscreens: your polls will always look amazing whether on a laptop, tablet or a smartphone. You can you can track votes daily, weekly and monthly. You can also track custom field values with votes. Trace every vote with an informative log (showing status, IP, browser and time) to identify any cheating attempts. Success of a website highly depends on the visitors, therefore a customer satisfaction survey is key to improving the content. There are many different kind of WordPress forms plugins available today. Some form builder plugins allow you to create forms that serve a specific business function—for example cost estimation and payments or surveys and polling. Others are multi-purpose and give you the ability to create all the kinds of forms your business needs.